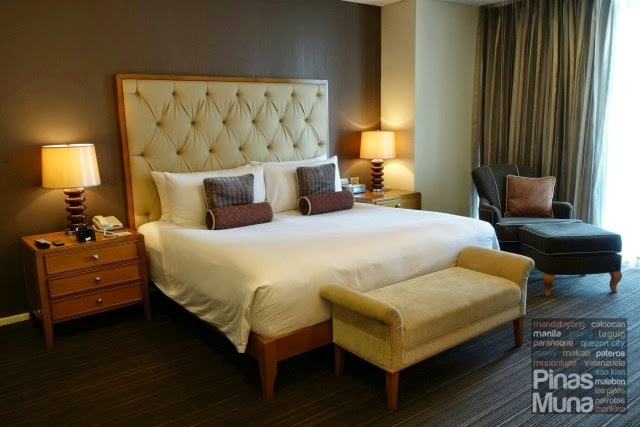 Joy~Nostalg Hotel and Suites Manila, formerly Oakwood Premier Joy~Nostalg Center Manila, is a luxury hotel located in Pasig City's Ortigas Central Business District with 230 fully furnished, move-in ready accommodations available for both short-term and long term stays. 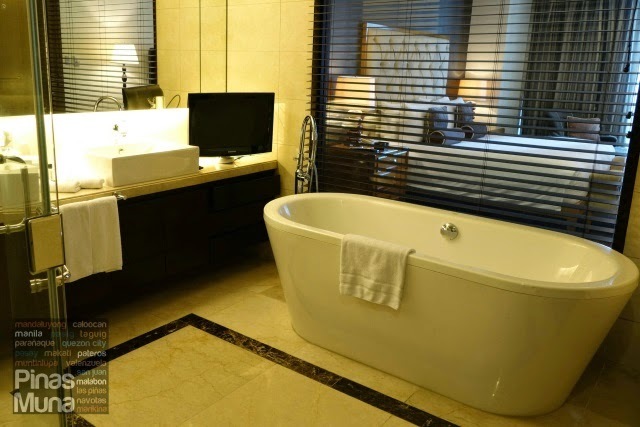 Managed by AccorHotels, Joy~Nostalg Hotel and Suites Manila promises a 5-star hotel quality experience with the exclusivity and comfort of a private residence. Joy~Nostalg Hotel and Suites Manila is centrally located along ADB Avenue, right across the Asian Development Bank and near multinational companies with offices in Ortigas Center. Its impressive apartments with amenities and services of a 5-star hotel appeal not only to business and leisure travelers but also to staycationers who are looking for luxury and style. The hotel is also one of the very few pet-friendly hotels in the Philippines. In line with its objective to provide the highest level of service, Joy~Nostalg Hotel and Suites Manila welcomes well-behaved and non-aggressive pets to stay with their owners. Joy~Nostalg Hotel and Suites Manila has four room categories, each designed to meet different requirements of its guests in terms of space and amenities. The Studio Executive (41sqm.) and the One-Bedroom Deluxe Suite (86-94sqm.) are ideal for solo travelers, couples or small families; while the Two-Bedroom Executive Suite (131sqm.) and the Three-Bedroom Executive Suite (182sqm) are ideal for bigger families or group of friends. We had our first serviced apartment living experience during a weekend staycation at Joy~Nostalg Hotel and Suites Manila. We stayed in a One-Bedroom Deluxe Suite featuring a master bedroom, a modern bathroom, a fully-equipped kitchen, a dining area and a living area. Welcoming us was a platter of premium cheeses, fruits and nuts. The dining area has a round table where guests can comfortably enjoy in-room dining. It is also an excellent place to work with your laptop. 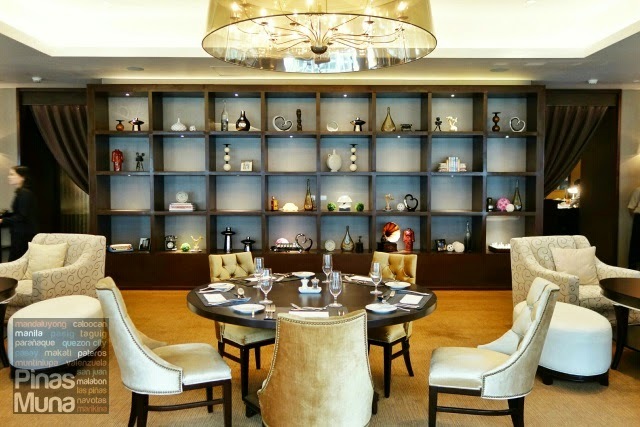 The dining area is also where guests can receive visitors either for a casual or business meeting. 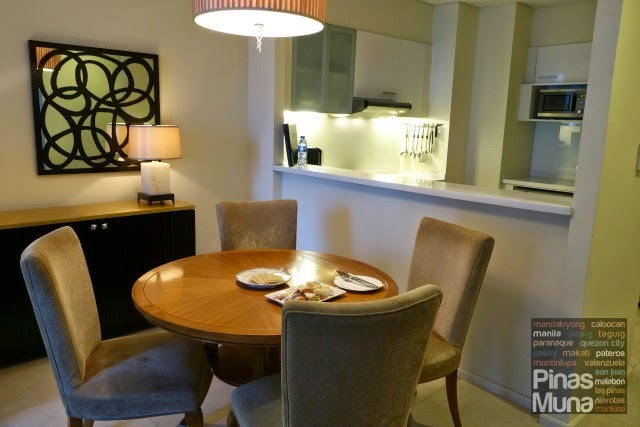 Next to the dining area is the fully-equipped kitchen which includes a microwave over, a convention oven, a dishwasher, a refrigerator, a toaster, a rice cooker, a coffee maker, crockery and cooking utensils. Long-staying guests can significantly save on meal expenses if they cook their own food. Business travelers on a busy schedule can take advantage of the hotel's grocery service where shopping is done by a hotel staff. If cooking is not for you, you can order food from room service or have your favorite fastfood delivered at the hotel. 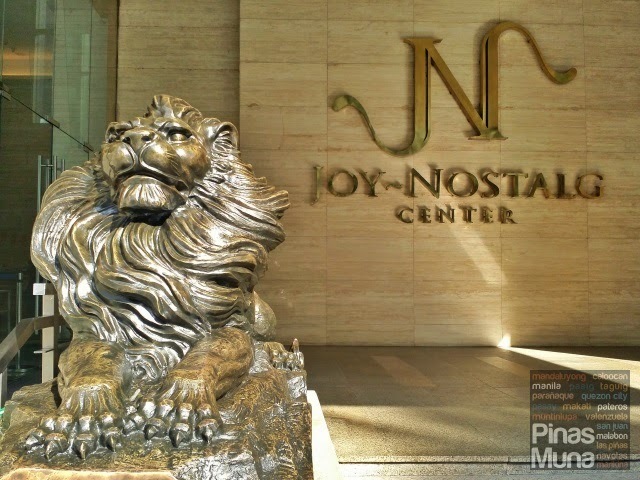 Joy~Nostalg Hotel and Suites Manila is also located near restaurants and some of the biggest malls in the area such as SM Megamall, The Podium and Robinsons Galleria. Washing your own clothes is not a problem since there's also a washer-dryer combo at the kitchen. If you're too busy to wash your own clothes, you can always avail of the hotel's laundry service. Connected to the dining area is the living area which features a sofa, a couch with ottoman, a center table, and a work table. Warm lights give the earth tone theme of the living area a cozy feel, making it an ideal place for relaxation and entertainment. The living area has a floor to ceiling glass wall window that allow natural to illuminate the interior. They used low-emissivity glass so that light from outside is not emitted as heat inside the room, thus keeping the room cool, and ultimately cutting down the hotel's electricity consumption. This eco-friendly design has won the hotel the Don Abello Award from the Department of Energy in 2012 and 2013. Highlight of the living area is the modern home entertainment system which includes a 40" cable-ready, high definition LCD TV with a wireless sound bar home theater system. Here you can watch your favorite movies or TV series in theater-like quality sounds. 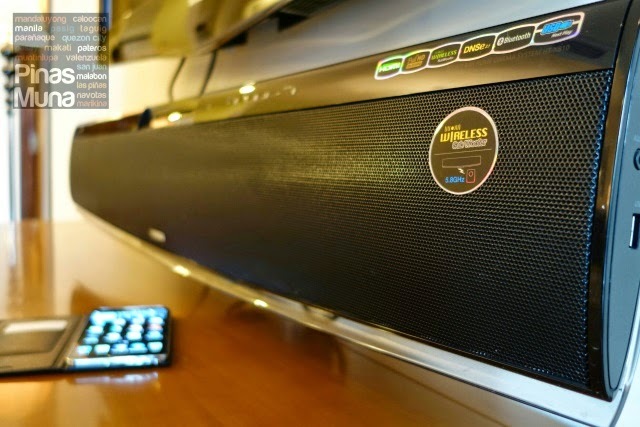 You can also connect your smartphone to the speakers via Bluetooth so you can listen to your favorite music tracks to set the mood inside the suite. The earth-tone theme of the living area is echoed into the master bedroom with different shades of brown from the carpet to the wall, and from the curtains to the furniture, making the room feel warm and relaxing, with touches of elegance and style. The master bedroom features a king-sized bed, two side tables with lamps, a bed bench, a couch with ottoman, and a working table. Floor to ceiling glass wall window allows natural light into the room while curtains lets the guests control the privacy inside the bedroom. The master bedroom also has its own 40" cable-ready LCD TV. The bed has a plush mattress that is neither too soft nor too firm, just the right balance to ensure that relaxing sleep. The pillows are soft and are smelling fresh and clean. The bedsheets and the duvet are spotless. The air-conditioned room and the warmth provided by the duvet gave a perfect level of comfort for us to have a good quality sleep. The iPod dock beside the bed has got to be our favorite. 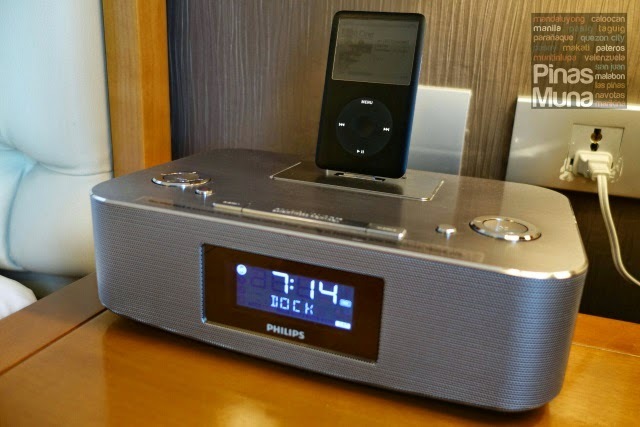 We have been keeping our iPod for almost eight years now and this iPod dock allows us to play our favorite tracks depending on our mood or the ambiance we want to set for our room. During our stay, we played several albums by Lisa Ono, one of our favorite Bossa Nova singers from Brazil. The bathroom is connected to the master bedroom separated by a huge glass window. This eco-friendly design allows light from the bedroom to flow into the bathroom and also gives a illusion of a wide open space making the room feel more spacious and uncramped. The bathroom is equally spacious with floor and walls covered with marbles. It has a free-standing bathtub and a double sink. Clean and sanitized bath towels, face towels, hand towels and foot towels are provided. For privacy, guests can use the blinds to cover the glass wall that separates the bathroom to the bedroom. Toiletries include shampoo, conditioner, bath gel, body lotion, hand soap, bath soap, and dental kits. While in the bathtub, you can either watch your favorite TV show through the 20" cable-ready LCD TV inside the bathroom, or listen to your favorite music playing from the iPod dock inside the bedroom. The bathroom has a separate toilet and a walk-in shower with rainshower and steam generator. Water pressure is excellent and water temperature is very easy to control. Other room amenities include an iron and ironing board, an electronic safe, two telephone lines, and high speed internet access. 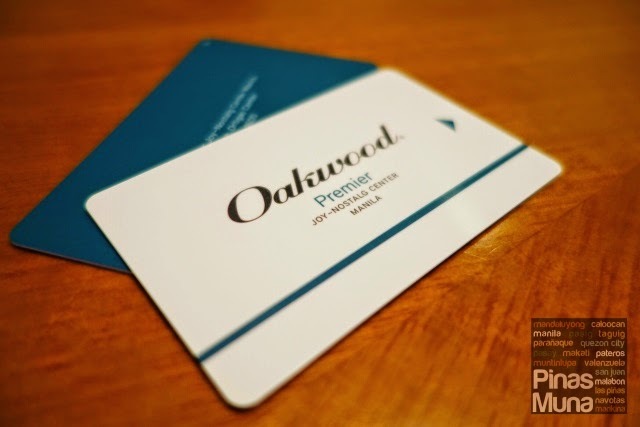 The hotel's checked-in guests get complimentary access to the Fitness Center and to the heated Indoor Swimming Pool. The pool is in an all-blue color theme and features underwater music. A jacuzzi is located at one end of the swimming pool. During our stay at Joy~Nostalg Hotel and Suites Manila, we also got to indulge on the hotel's buffet breakfast offering at the Nostalgia Dining Lounge. Choices include cereals, fruits, breads, pastries and jams, pancakes, salads, congee (rice porridge), and a variety of local and international breakfast dishes. There's also an omelet section where you can have your customized omelet made. Just tell the what you want included in your omelet and your taste preference and a staff will serve your omelet on your table when it's ready. While seated at the restaurant, table attendants will offer you coffee or tea. We love this level of service when the wait staff anticipates what the guests need.On the photo is Edgar reading the news on his tablet with a warm cup of brewed coffee in front of him. Edgar had hashbrowns, pastries and pasta for breakfast while I had garlic rice, adobo, sausages, bacon, and scrambled eggs on my plate. To end it all, I had a plateful of fruits including mangoes, watermelon and pomelo and a glass of fresh orange juice. The Nostalgia Dining Lounge has a spacious dining hall and three private function rooms. The restaurant serves contemporary cross-continental classic cuisine from its ala carte menu and also serves themed buffet lunch and promotional set lunches and dinners. 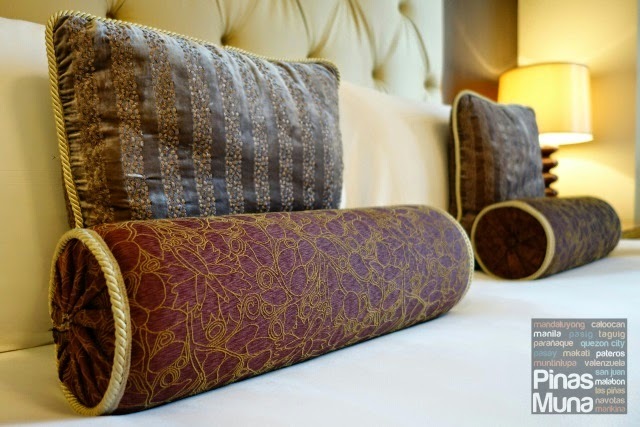 Overall, we totally loved our stay at Joy~Nostalg Hotel and Suites Manila. It's definitely one of our best staycation experiences ever. 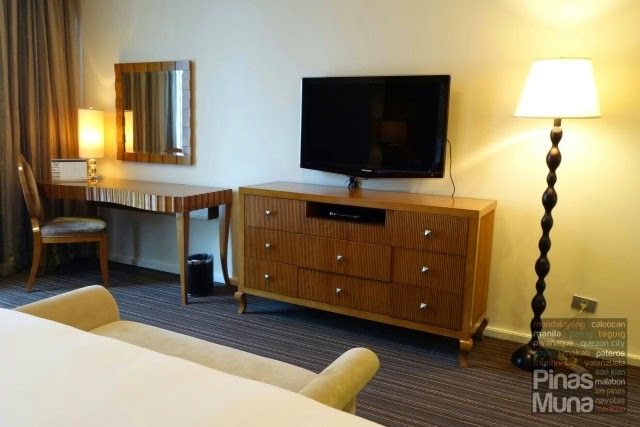 It is no doubt the best hotel in Pasig City not only for business travelers, but also for leisure travelers and staycationers as well. It is centrally located in Ortigas Center near restaurants, shopping malls and it easily accessible by public transportation. Parking space is available at the basement. The room is clean, spacious and has an elegant design. The kitchen is fully equipped. Air-conditioning works perfectly. The entertainment system at the living area is really awesome! There's so much work tables to choose from. There are two 40" LCD TVs and one 20" LCD TV inside the bathroom. The bathroom is spacious and clean, water pressure is excellent, water temperature is easy to control. There's steam generator inside the walk-in shower. We were well rested. The bed was very comfortable. Linens and duvet were clean and smelling fresh. Customer service is excellent starting from the security, to the front office, to the wait staff at the restaurant. Check-in process is efficient. Hotel staff is helpful when approached. House keeping staff are very courteous. 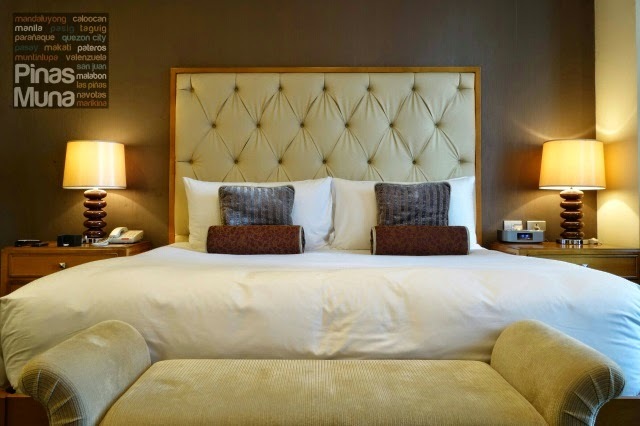 Considering the size and the amenities of the rooms, you get value from the room rates. Complimentary breakfast buffet has a wide selection of food choices. Bidet should be installed to the toilet.